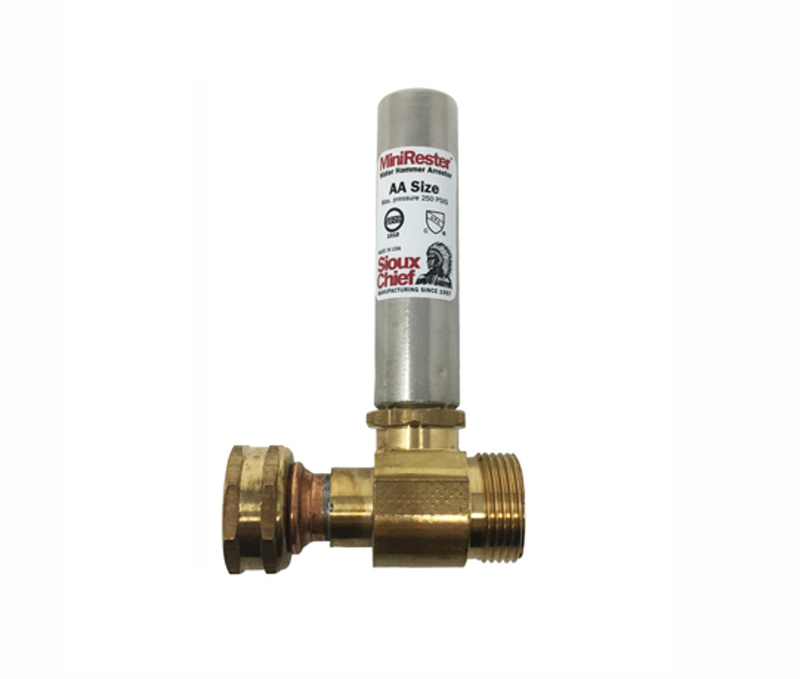 The Sioux Chief water hammer arrester is a perfect solution for thumping or banging pipes. Its simple but effective design which is a pressurised cushion of air and a two ring piston, which permanently separates this air cushion from the water system. When the valve closes and the water flow is suddenly stopped, the pressure spike pushes the piston up the arrester chamber against the pressurised cushion of air, which reacts instantly, absorbing the pressure spike that causes water hammer. Arrestors should be installed within six feet of the problem valve/tap. May be installed at any angle. Install directly on washing machine supply valve or directly to washing machine.